It's time to celebrate! Halloween is just around the corner, and we've decided it's time to start thinking about it. 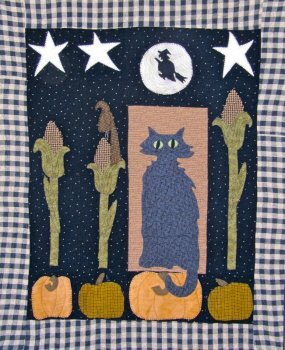 Over the years, we've made quite a few patterns for one of our favorite holidays, and, luckily, we have kits for most and patterns for all of them. 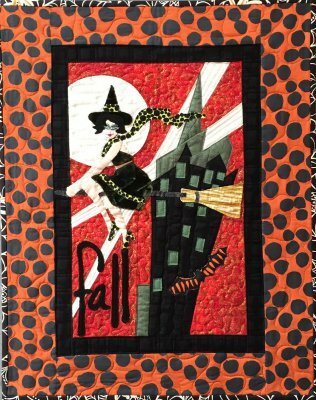 Plus, all these patterns are even easier to make now because all of our seasonal fabric is on sale; they can be found in the "Sale Fabric" section on our website or in person in our Solana Beach store. Halloween will be here before we know it, and we can't wait! 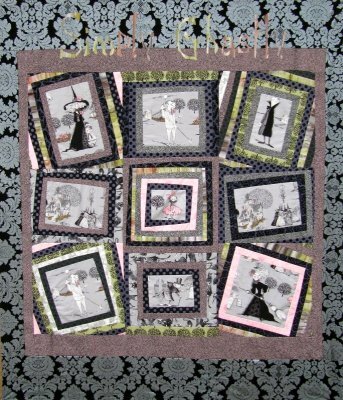 SNH's newest block of the month quilt, Kim's very own La Dolce Vita, launched yesterday at Starry Night Hollow! The first blocks are now available for pick up at the store or delivery right to your house. Over half the kits have already been sold, so hurry if you want to join- once the kits are gone, they're gone. 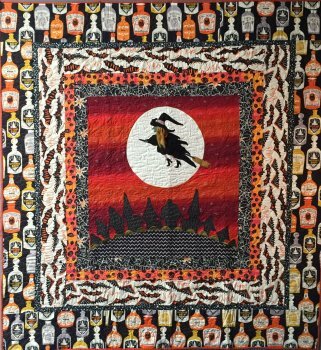 The finished dimensions are 54" wide x 60" tall, and the kits include fabric for the quilt top and binding, as well as the booklet of instructions and templates. If you want to spend a year on the coast of Italy with us, call us at (858) 345-1845 or click the picture below. 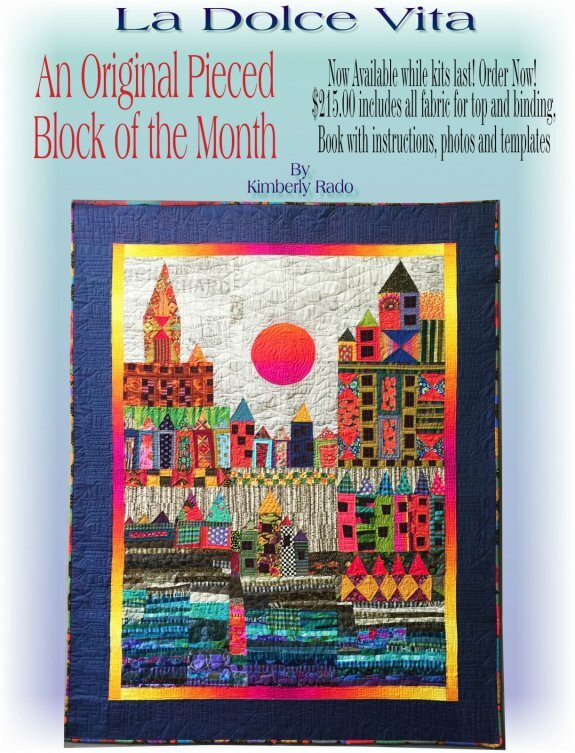 Every month for a year you will receive a new kit for the next block. 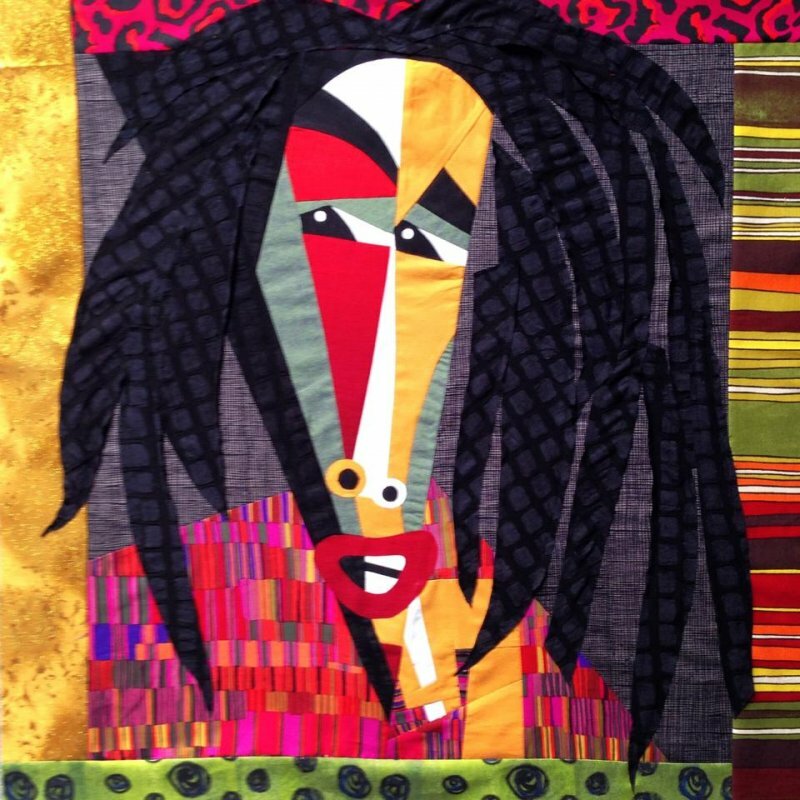 Now Bob Marley is making an appearance at Starry Night Hollow in Solana Beach- we are loving Kim's new "One Love" pattern of the rocker. Want him all to yourself? 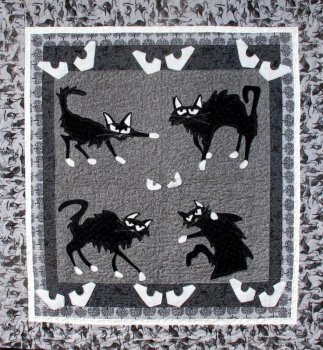 The pattern is available now, and kits are coming later this week. Or, if you're feeling adventurous, try personalizing him! Different backgrounds, smaller borders, 3-D hair... the choice is up to you. Also, don't worry- Elvis and Bob Dylan are coming within the next couple weeks. 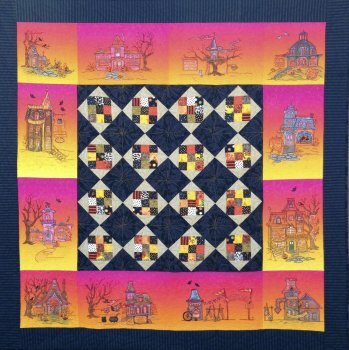 If you really want to make Mr. Marley your own quilt but are not sure how, come and take Jean Impey's Amazing Alphabet class on August 20 to learn how to get started with creating art quilts, or create a more advanced block if you're familiar with the process. This is an all day class, with lunch included. Call if interested! Have you visited our new store yet? Come and find us on 722 Genevieve St, Suite Q, in Solana Beach, CA 92075. We have classes nearly every day and would love to see you. Our online store is getting better every day, with patterns and fabric filling it to the brim. Shop whatever way you want! Blog: Right here! Your blogger, Dani, will keep you updated on everything SNH. Go ahead and give us a follow/like, we'd love to meet all of you. Updates will still be coming here, but new posts will be happening more often on our social sites. Meet you in cyberspace! Walls, floors, paint, heating, lights. The studio is still under construction, and will be done around Thursday. After that, we all get to decorate the space with furniture from our last location and paint fun things around the walls. The fabric will be unloaded, inventory will be updated, and (with some luck) order will be restored to our world of quilting. Our new shop isn't quite as big as our Encinitas cottage, but, for the most part, that's alright because the goals for this will be different. We want our new space to be more of a studio, fit for classes and workshops, and a place for the creative process to take place over and over; we want to focus on creating our art, and a bit less of the shopping atmosphere that took place in our last shop. Just about everything will be available for order online- fabric, batting, patterns, notions, and more- so that there is more room for everyone to make art. Hope to see everyone soon! Don't forget, the official opening is July 14 at 10:00.